This is an all natural headache/migraine relief roll on made with magnesium oil, sweet almond oil, and an essential oil blend of peppermint, orange, and lavender. Magnesium oil relaxes the muscles and blood vessels, while easing spasms to help calm headaches or migraines. Peppermint essential oil is a topical analgesic, providing soothing relief. It is one of the most effective essential oils for head pains. Peppermint oil is also beneficial for helping nausea, which is often associated with migraines. Lavender essential oil is balancing and calming, and helps reduce anxiety and stress upon inhalation. 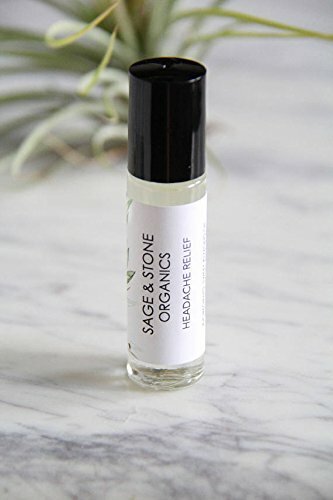 If you have any questions about this product by Sage & Stone Organics, contact us by completing and submitting the form below. If you are looking for a specif part number, please include it with your message.